Portions of this review also appear in Aaron Pecks's coverage of the previous "Undisputed" Blu-ray collection. 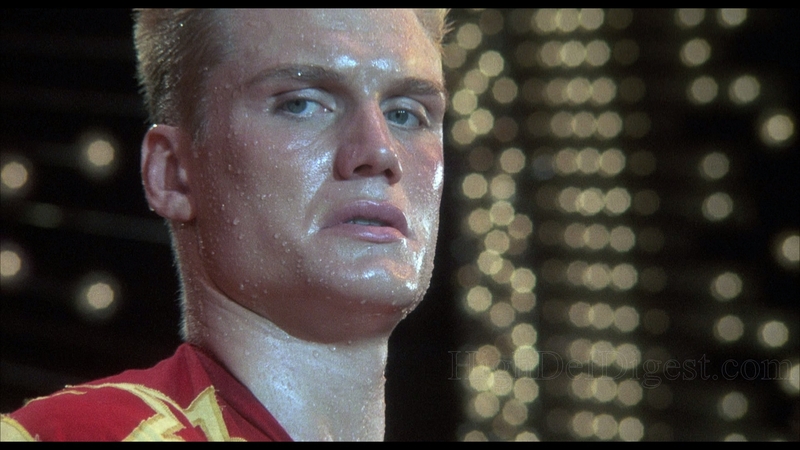 I remember getting 'Rocky IV' for a birthday one year. After watching it I had the distinct impression that I wanted to work out in the snow. So I went for a run in the falling snow with the 'Rocky' theme song playing over and over in my head. I became an instant fan of boxing, only to find out that real boxing was nothing like the boxing featured in the 'Rocky' films where almost every punch lands with ferocious velocity and no one tries to block anything. 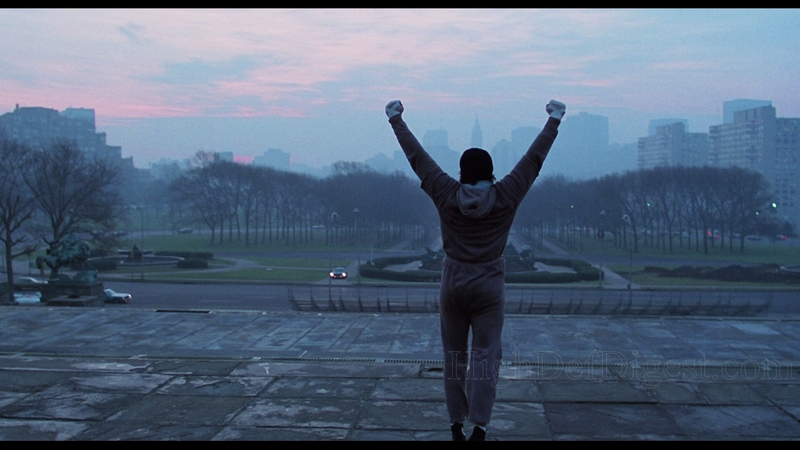 'Rocky' was a monumental achievement both in storytelling and box office success. It won the Best Picture Oscar in 1977 and went on to become one of the most iconic films in American culture. 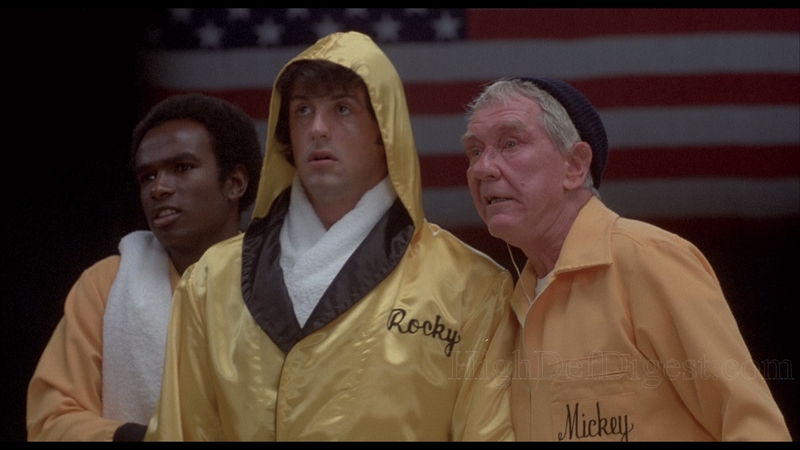 Few movies have had such a huge impact on my life as the 'Rocky' films. It wasn't until years later, when I rewatched the first 'Rocky,' that I was really able to understand the meaning behind that film. Rocky is forever a humble guy who is just trying his best with the lot he's been given in life. 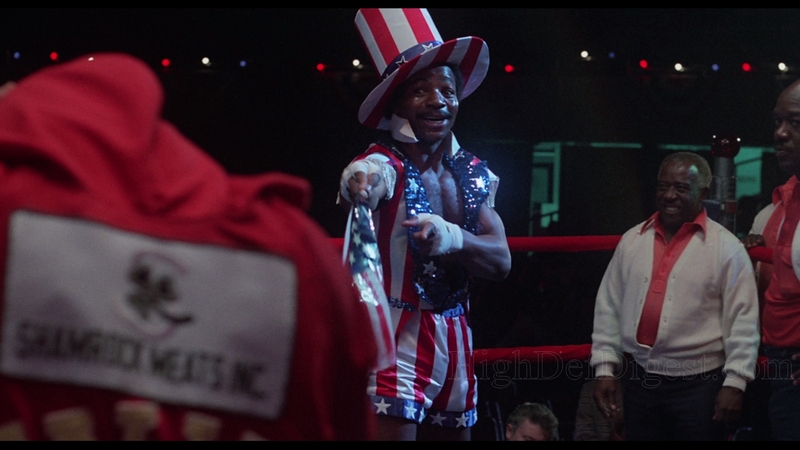 No name Rocky Balboa is offered a chance to fight Heavyweight World Champion Apollo Creed, just because cocky Creed likes the sound of Rocky's nickname "The Italian Stallion." 'Rocky' transcends every other sports movie out there by being about a man who just wants to prove he can go the distance, rather than win outright. Most of the subsequent 'Rocky' films become about winning, but the first one was a beautiful tale of a man who was given a chance and took full advantage of it, he proves to the world what he can do. The first film is also about the innocent love Rocky has for the local pet store girl named Adrian. Adrian never talks and Rocky never stops talking, they're a perfect match. The first 'Rocky' requires a little life experience to get all the nuances and meaning behind it. The rest of the films have their own beauty to them (except 'Rocky V'), but the first film is by far the best of the series. 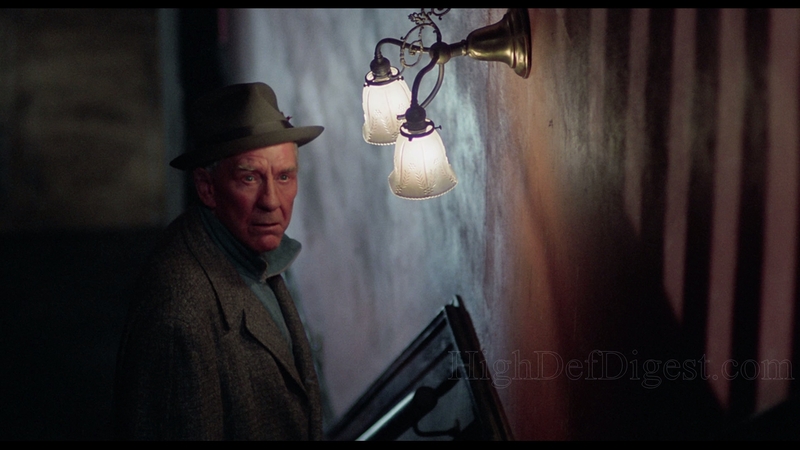 The interesting thing about the later films is that there is still a story to tell with the perpetual underdog's life. His character continues to evolve and change throughout the series, but that humility and drive to excel are always there. In 'Rocky II,' we see that Rocky really has no idea what to do with the new found wealth that he's going to get from doing commercials. 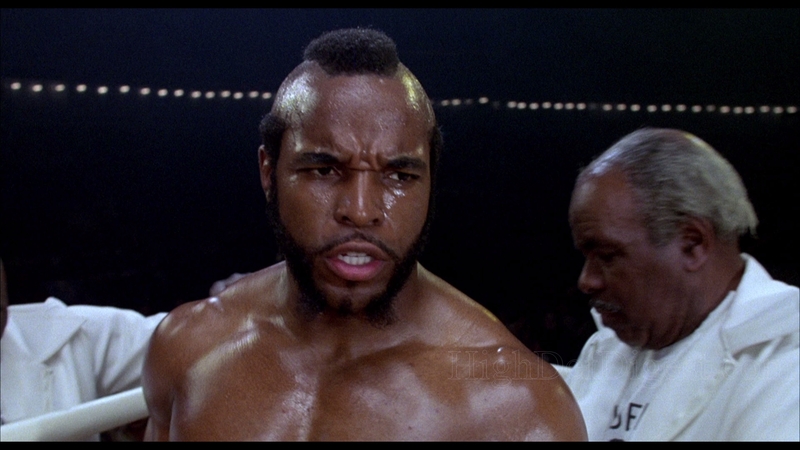 'Rocky III' shows us an upset and ungrateful Paulie, as well as Rocky's beloved manager Mickey passing away. In a touching scene, where Rocky cries over the body of his fallen manager we are all reminded that this tough-as-nails man still has one of the biggest hearts out there. 'Rocky IV' gives us a glimpse at Rocky's determination and how Creed's cockiness brings him down. 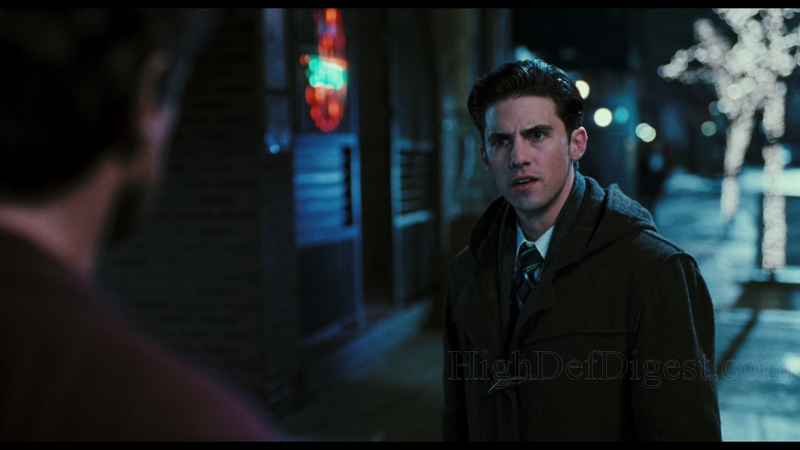 Many people consider this one to be their favorite film of the series. It's my second favorite, behind the first film, but for different reasons. By this time they had perfected the fighting scenes and upped the dramatic effect of the sound effects. Out of the series this one is the most fun to watch, but not the most meaningful. The 'Rocky' saga embodies the underdog story to perfection. Like I said, he's always considered the underdog. That never fazes him though. His outlook on life can be compared to another movie character... Forrest Gump. 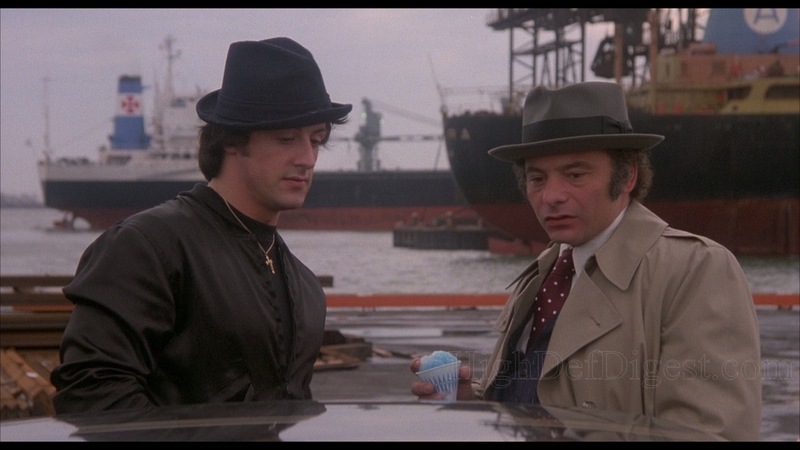 Rocky has the best intentions, and always wants to do right by his friends and family even if they treat him terribly (I'm looking at you Paulie). Devastation meets him at every turn, but he perseveres. Rocky is so iconic and so beloved because we love those gritty stories about people who aren't supposed to succeed, but do. We love seeing someone go from rags to riches. The story of Rocky is full of lessons on life like how to treat other people, what true friendship is, and how love conquers all. 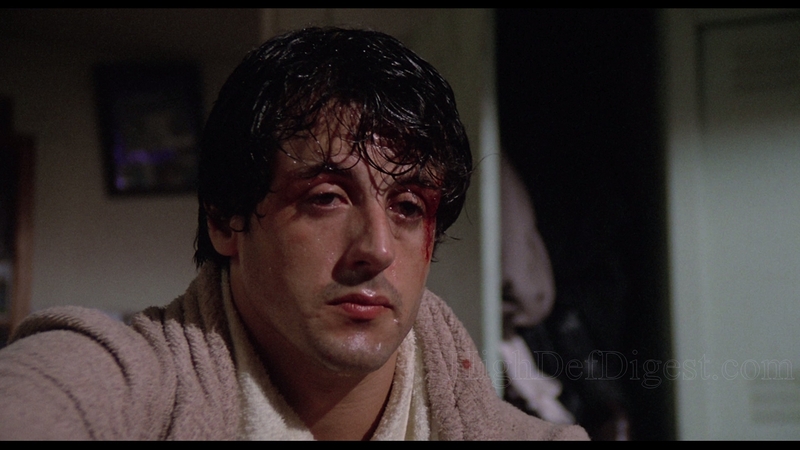 Sure I might be getting a little sappy here, but to this day, each and every 'Rocky' film (with the exception of 'Rocky V') chokes me up more than once during its runtime. 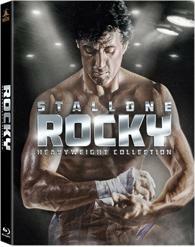 20th Century Fox Home Entertainment brings the 'Rocky' franchise to Blu-ray once more, dubbing the rematch "The Heavyweight Collection." The first five discs are Region Free, BD50s while the last is a Region A locked, BD50. All six are housed inside a slightly oversized blue case with a glossy slipcover. Disc one commences with a Blu-ray promo before switching to an animated menu screen with full-motion clips and music. The next four go directly to a static, silent screen, and disc six goes to a menu screen with full-motion clips and music. Many of the special features from the previous box set and other DVD editions are ported over for this new collection, except that they are now found on the first Blu-ray disc rather than on a separate disc. Audio Commentaries — Three commentaries are offered here, starting with writer, actor and later director Sylvester Stallone talking enthusiastically about the production and sharing lots of memories. The second features two boxing legends, trainer Lou Duva and sports historian Bert Sugar, providing some amusing insights and the film's legacy. 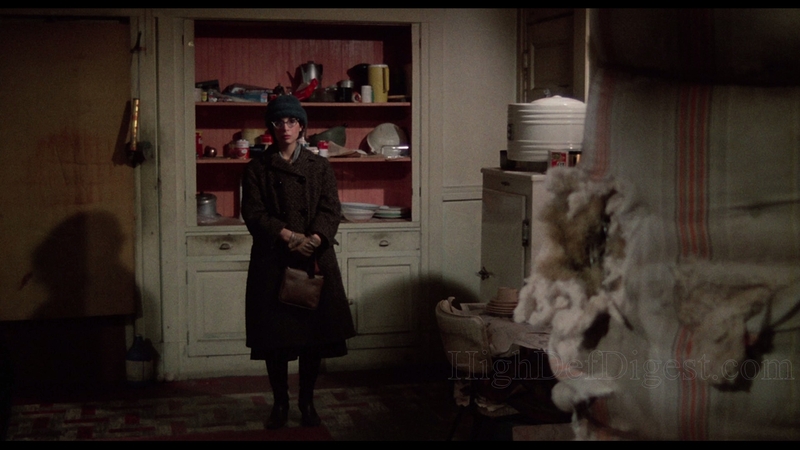 The final commentary is basically a roundtable chat between director John Avildsen, producers Irvin Winkler and Robert Chartoff, Talia Shire, Carl Weathers, Burt Young, and cameraman Garrett Brown. Three Rounds with Legendary Trainer Lou Duva (SD, 5 min) — The highly-respected trainer talks a little about boxing. Interview with a Legend (SD, 7 min) — Sports historian Bert Sugar shares his thoughts on the franchise and its legacy. The Opponents (SD, 16 min) — Carl Weathers, Dolph Lundgren and Tommy Morrison talk about the importance of their characters in relation to the underdog, Rocky. In the Ring (SD, 75 min) — A three-part making-of doc starts with a look at the production, followed by a chat on the performances of Talia Shire and Burgess Meredith, and finishes with insightful comments on the character of Apollo Creed and Paulie. Steadicam: Then and Now with Garrett Brown (SD, 17 min) — Inventor of the steadicam talks about camera technology and his work on this particular production. Make Up! (SD, 15 min) — Award-winning makeup artist shares his thoughts and involvement in the movie. Staccato (SD, 12 min) — Composer Bill Conti chats about making the music and the importance of a good, emotional score. The Ring of Truth (SD, 10 min) — Art director James Spencer gives us an idea of his process of creating the look of a film. Behind the Scenes (SD, 12 min) — Director John Avildsen shares some BTS footage from the set with Stallone and Weathers sparring. Tribute to Burgess Meredith (SD, 8 min) — The cast talks fondly about the late actor and his performance in the franchise. Tribute to James Crabe (SD, 4 min) — Avildsen reminisces on working with the late cinematographer. Video Commentary (SD, 29 min) — Stallone explains the origins of the story, his influences and his work on the set. Sylvester Stallone on Dinah! (1976) (SD, 17 min) — A clip from the daytime program to promote the movie with Dinah Shore interviewing Stallone. Stallone Meets Rocky (SD, 3 min) — From the special edition DVD, this is an amusing promo where the actor meets himself while in character. Trailers (SD) — Two theatrical previews and three TV spots. Audio Commentaries — Writer and director Sylvester Stallone not only shares anecdotes and memories but also talks passionately about the film and the franchise as a whole. Skill vs. Will (HD, 18 min) — An EPK-style making-of doc with various interviews and BTS footage. Reality in the Ring (HD, 16 min) — A closer look at the final fight scene and the amount of work that went into the shoot. Virtual Champion (HD, 5 min) — A glimpse into the making of the CGI fight shown on ESPN. The 'Rocky' franchise is one of the most iconic film franchises of all time. 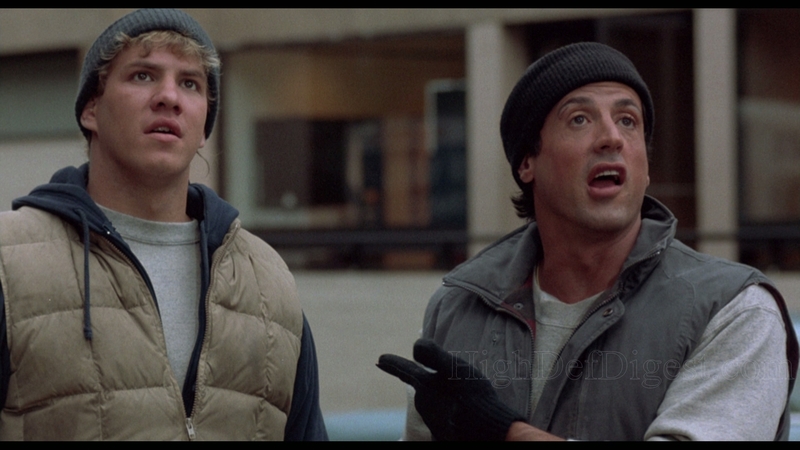 The original 'Rocky' film still stands as one of the finest American cinematic experiences that can be had. Each film gives us new insight into the character of Rocky and how he changes and grows throughout his life. It's a fantastic journey, one that can be lived over and over with this wonderful collection. This Blu-ray box set features a brand new 4K scan of the 1976 classic, which looks utterly fantastic, but the rest of the films are unfortunately the same high-def transfer as the "Undisputed Collection." The audio presentations are also the same lossless tracks, but that's not an entirely bad thing. Much of the bonus material is ported over from the previous box set, but also includes a few items that were missing, along with one new surprise. For devoted, loyal fight fans who held out this long, this new collection is a must-own while owners of the previous set will be tempted by the new remaster of the original.